Another early start on what was promising to be a hot day. The air conditioning at the station and on the train was very welcome. In Cheshire and Lancashire combines were working in the fields and most of the remaining cereal crops looked ripe. As we approached Preston the train manager announced ‘all change at Preston for the exotic resort of Blackpool’. I don’t know how many people did. 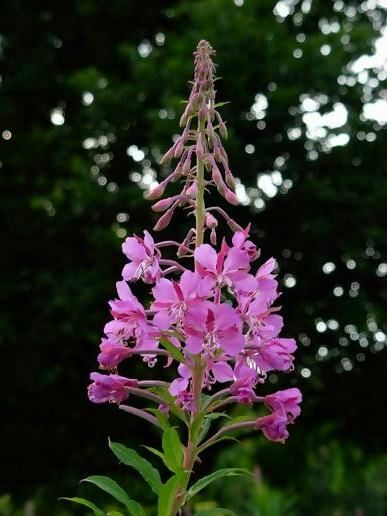 Rosebay Willowherb was in full flower alongside much of the track. Cattle were enjoying the morning sunshine sitting in the fields chewing the cud and near Carstairs, they were drinking in the Clyde. The sky was blue all the way to West Lothian where a few clouds appeared but by the time we had reached Edinburgh it was blue sky again. As I walked from Waverley to the bus stop I looked at exhibitions on at the National Galleries and will catch some either on this trip or in August. Otherwise I am hoping for a few relatively peaceful days ahead catching up with some writing and a clear out in the flat.